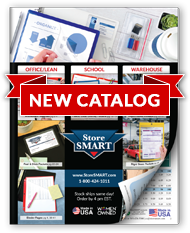 StoreSmart items are used in products your company sells. You are reselling StoreSMART items. Your organization qualifies for tax exempt status (i.e., education, charitable etc.). Tax Exempt Certificate � If you are tax exempt, you must supply StoreSMART with a Sales Tax Exempt certificate. Please fax your certificate to 585-424-1064. New York State mandates that orders cannot ship tax exempt until we have your certificate on file.